A holiday 5K Run, Walk, Stroll!! 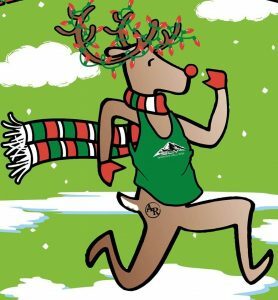 The 1st Annual “Round-UP Rudolph Run” is Sponsored by Alamosa Round-Up and SLV Sports & Wellness! This event is part of the 7th Annual Alamosa Christmas Light Parade!!!! Come run at 3pm then enjoy the light parade at 6pm! Prizes will be given to top finishers! The winners will get to ride on the SLV Sports & Wellness float in the parade! Dressing in holiday clothes is encouraged (ugly sweaters, elf costume, jingle bells, ect)! ©SLV Sports & Wellness - Do not copy. All rights reserved.